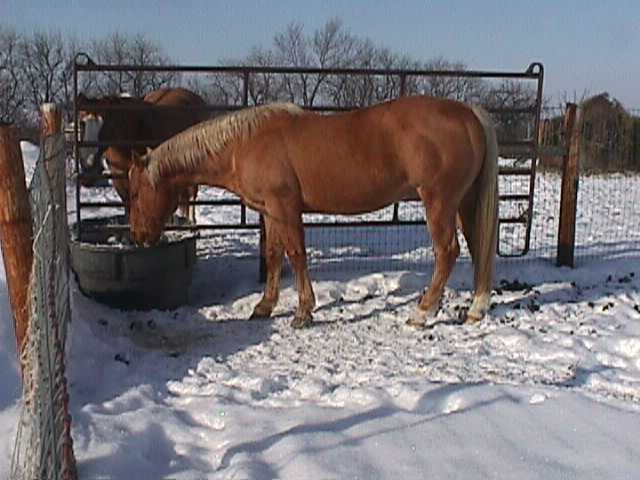 January, 2016......NO AQHA stallions currently available for purchase or breeding. 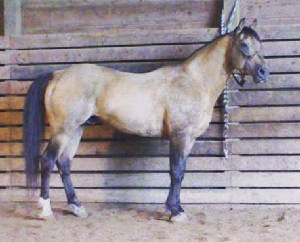 All sold and/or gelded. REFERENCE SIRES: We still have foals by and mares in foal to the stallions listed below, as well as breeding available to most of them.....but the stallions themselves are no longer with us. They have either been sold, or they have passed on. 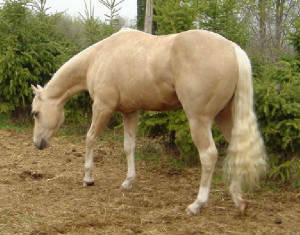 Sand Peppy Twist (Twister) sire - Dun It With A Twist. By $5 million sire Hollywood Dun It and out of the great Peppymint Twist, whose cutting earnings exceeded $260,000. Dun It With A Twist won the Tradition Futurity. Next, he became the NRHA Futurity Open Co-Reserve Champion, scoring 223. In total, Dun It With A Twist has lifetime NRHA earnings of over $99,860 with very limited showing. 1984 NCHA Finals, 3rd Place. 1983 NCHA Cutting Horse Derby, 1st Place. 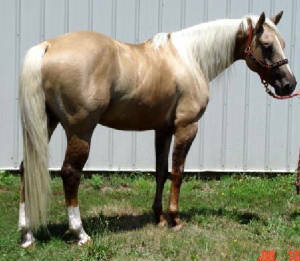 Twister will throw 'colored' babies (palomino/buckskin/dun/grulla) on at least 75% of the mares he is bred to, since he does carry two distinct dilute genes (creme and dun factor). 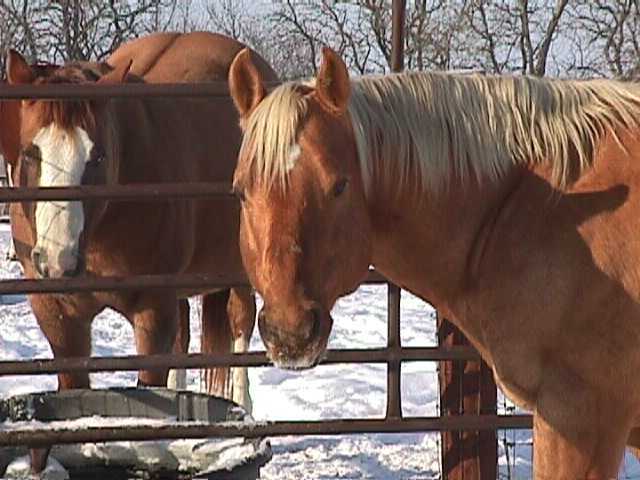 Twister is now in a show home, near Green Bay, Wisconsin - and will be campaigned. Ask me for his new website.....and info on breeding to him in 2010 and beyond. I can't say enough good things about this guy. He's a young stallion with more sense and good manners than most geldings. 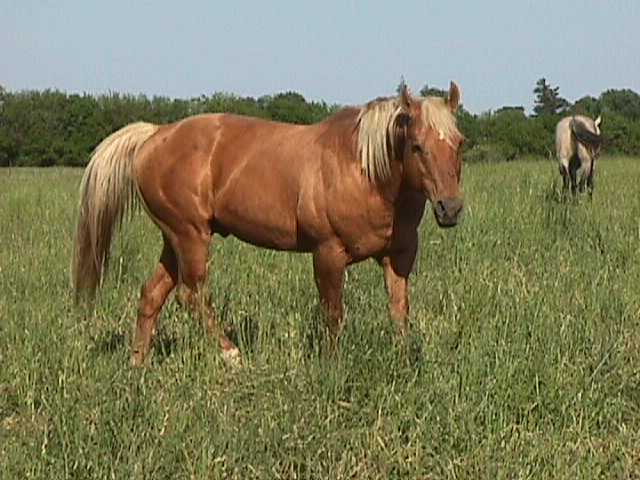 You can walk him through a pasture of mares in heat and not get a reaction from him. This guy has a gorgeous light gold color, excellent bones - straight and heavy - and look at that tiny little head and ear!! 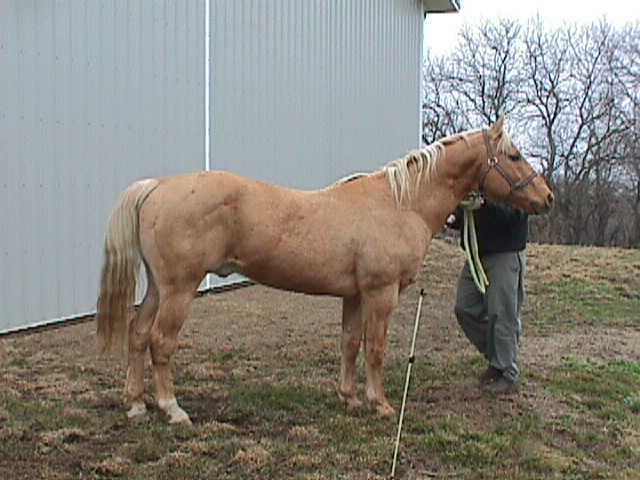 He looks halter (stands 15.1 at age 2, and does have a full brother with halter points), but is bred to do cow work. He has at least two 1/2 brothers that have been used in the PRCA for roping/steer stopping. 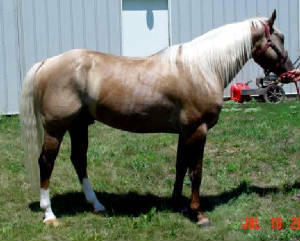 We leased him out, and he was bred to a couple of mares, spring 2007. He's back home now so will continue to ride him through the fall and winter. He rides just like all our 'Joe" (Roses Flashy Joe) babies always have - with tons of 'try', great athletic ability and speed - and rarely a buck in any of them. With his laid back attitude, he might just become my new, favorite, trail mount. Don't need a gelding to ride when you've got a stallion that has the disposition to handle two jobs! 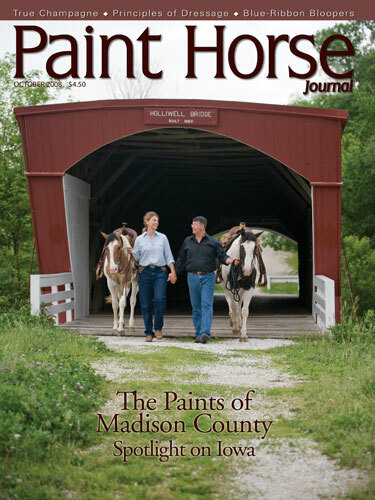 'Joe' is everything you look for in a foundation QH sire. He has very short, heavy cannon bones, large hooves, great hip and chest and beautiful head and ear. His look matches his 'old fashioned', versatile pedigree which contains many names found in the "Legends" books. Joe is a sweet old guy that stands around 15.1. As an added bonus, he is throwing more than his share of dark palominos and buckskin foals. While we only had 2 foals from Bubba in 2011, we did breed a half dozen mares to him in 2011 for Bubba's final foal crop in 2012. Most are currently for sale.